Shop WordPress Themes are the spectrum of smooth shopping carts, dazzling sliders with “wow” offers, stylish interface, honest product reviews/ratings, related products section and 24/7 fantastic support! Anybody can do the online selling! But, what is the secret formula to make a successful online store? Yes, an excellent WooCommerce shop WordPress theme can add fuel to the fire! Because nobody likes to revisit the poorly designed website. If you want to create your own E-commerce store then here is the list of 5+ Shop WordPress Themes you can choose to make a stand out online store. The template is a dedicated shop platform for selling handicrafts online. Its layout brings your wares to the best light. HandicraftShop is WooCommerce integrated and helps to sell unlimited stocks 24/7 online through your website. It will provide you the inbuilt shop page to showcase the brilliance of your items, cart page where visitors can see the added products and checkout page to connect buyers to the payment gateway. Using HandicraftShop you can integrate lead capture form to any page template of your website. These collated leads can be used to send emails regarding new offers and latest stock. 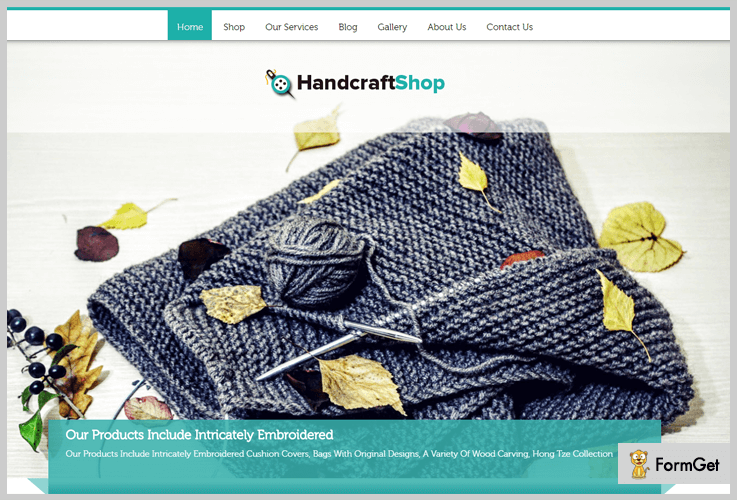 HandcraftShop has tap to call feature at its homepage which will work when the user will access your website through mobile phones or iPhone. The theme comes with 8 theme style sheet settings. The template allows to show/hide the homepage product section. 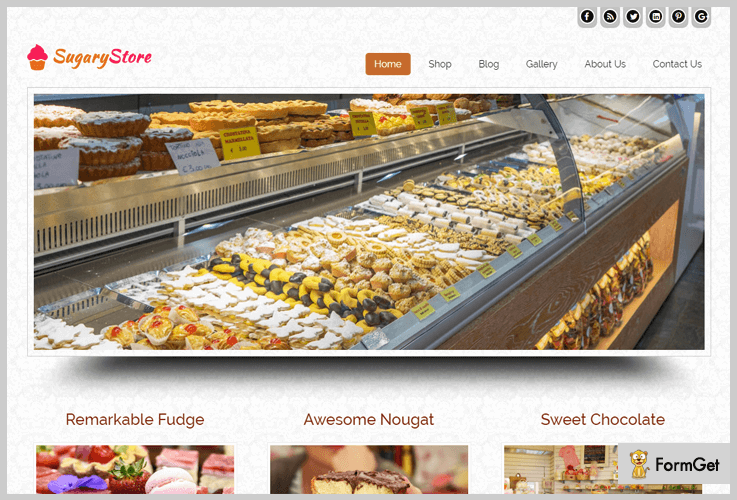 The template SugaryStore is a multipurpose theme designed for the food industry. It can be used as an e-commerce template as well as bakery house blog theme complete with aesthetically-pleasing recipes. SugaryStore provides the Ad banner space at the homepage which can be used to advertise the special offers or bakery fancy items on your website. SugaryStore has unlimited colour options and threaded comments for the website visitors. Receive your shop lover’s leads through the inbuilt contact form. It supports video functionality on the homepage to showcase latest offers. SugaryStore has 3 column feature area in which you can add images and the short details. 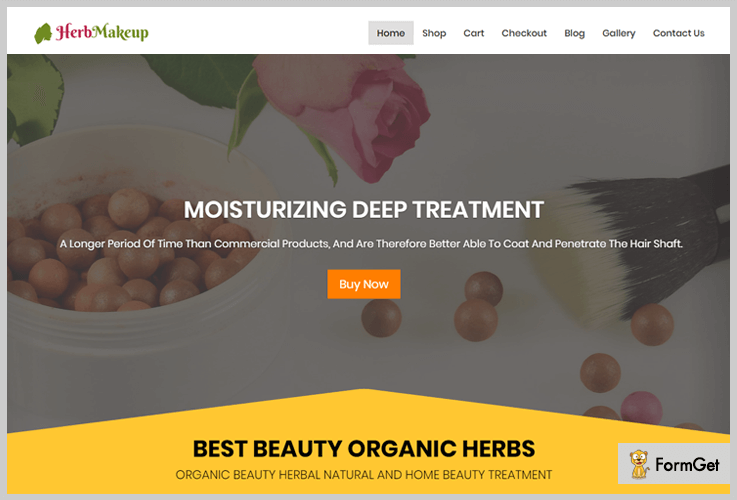 HerbMakeup is a WordPress theme specialized in selling organic cosmetics and herbs online. The template comes with the boxed slider where you can add maximum six images to your cosmetic and herbs website. The slider has heading to display your business tagline and subheading for short description of organic cosmetics. There are multiple personalization options in this template like font awesome icons at the 4 column service section. HerbMakeup is flawlessly instinctive with astonishing overlay effects at its homepage. You can grab this template at $79. HerbMakeup has team members area to showcase your shop staff. However, you can also use this section to display your shop services. It facilitates individual page customization to select different layouts for each page template. HerbMakeup offers 7 color schemes for providing the most suitable layout to your website. This WooCommerce template is actually crafted for matt sellers. 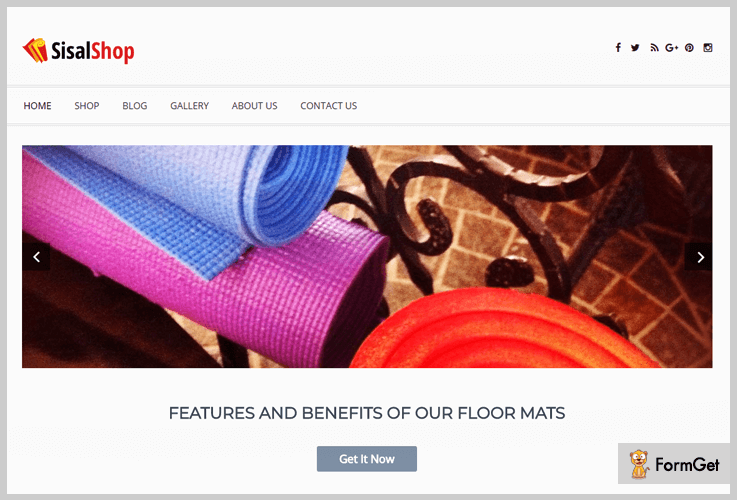 The layout of SisalShop is simply influential because it has two theme layout formats i.e. boxed and full width. You can set any of them to give the stunning first impression to your website visitors. Sisal Shop offers the well-organized slider option on your homepage. You can modify the slider layout to the single or multiple columns to display your mattresses in the best look. Get this template at $79. You can enable/disable homepage shop section from the theme options panel. It supports unlimited color options for testimonial background, homepage blog section, and sidebar heading. Sisal Shop is integrated with PayPal payment gateway. 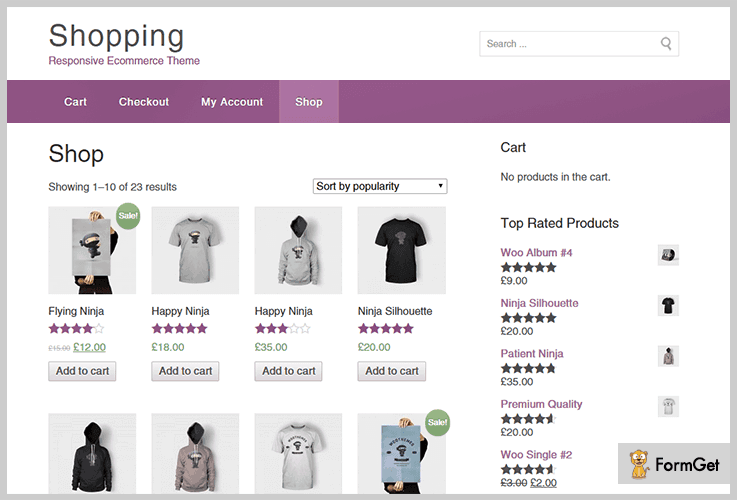 The template SalesJunction is perfect for any WooCommerce online store and it is not niche specific. Through this theme, you can showcase unlimited products on your homepage. Your buyers can do smooth transactions via PayPal payment processor. You can freely download this theme from WordPress website. SalesJunction allows collecting online/offline payments in a secure way. You can create unlimited blog posts and flourish them on your website homepage and blog page as well. It also has footer and sidebar area to showcase unlimited widgets like gallery, search bar and recent posts. This fully responsive WordPress theme is the simple WooCommerce template. Buyers can create their individual profiles and you can create cart, checkout and shop page templates at minimal steps. Shopping theme allows sorting of products on the basis of their ratings and popularity. Showcase maximum 10 items with their image, price and ratings on the shop page. This is a freemium template, downloadable from official WordPress website. 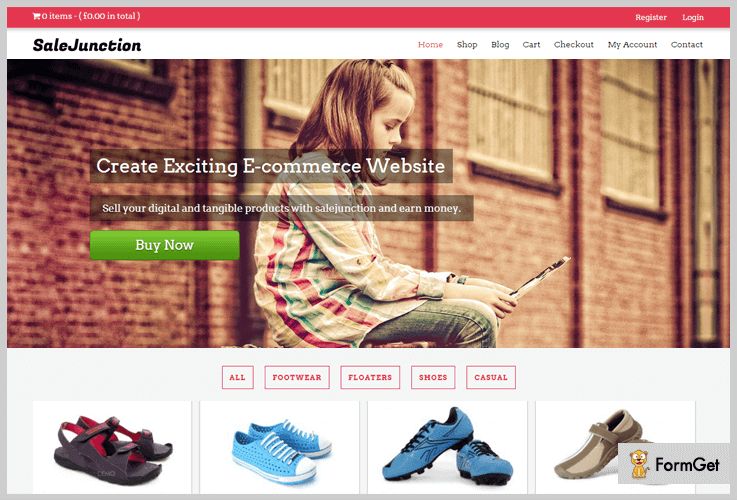 It is a responsive WooCommerce freemium template that runs well on all the devices. You can create unlimited page templates of home, about us, blog and contact us pages. It has full-width layout that fits the devices screen. I hope this well thought out the list will make difference in your shopping business. It’s time to change gears for your business and to push your online store to the limits. Get going! and do let us know if I have missed something.